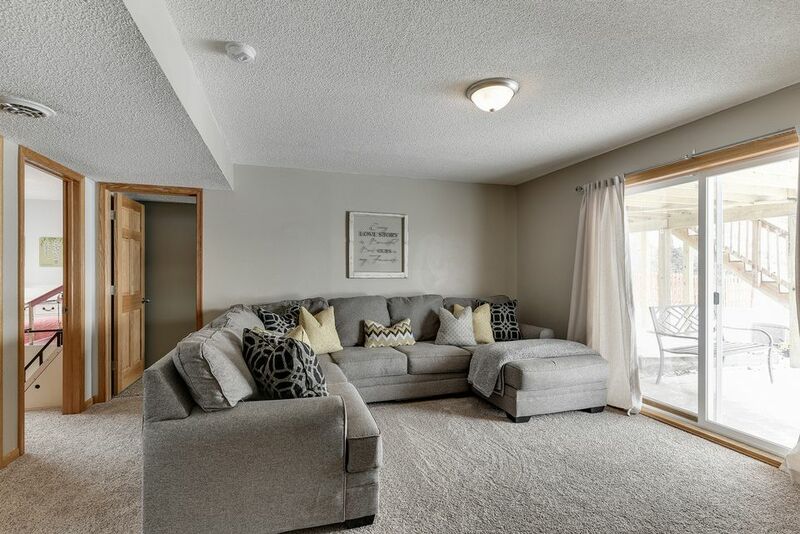 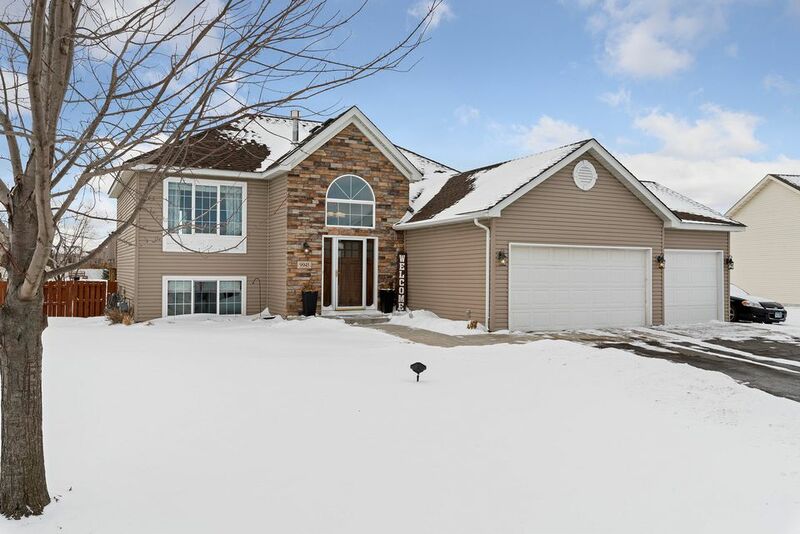 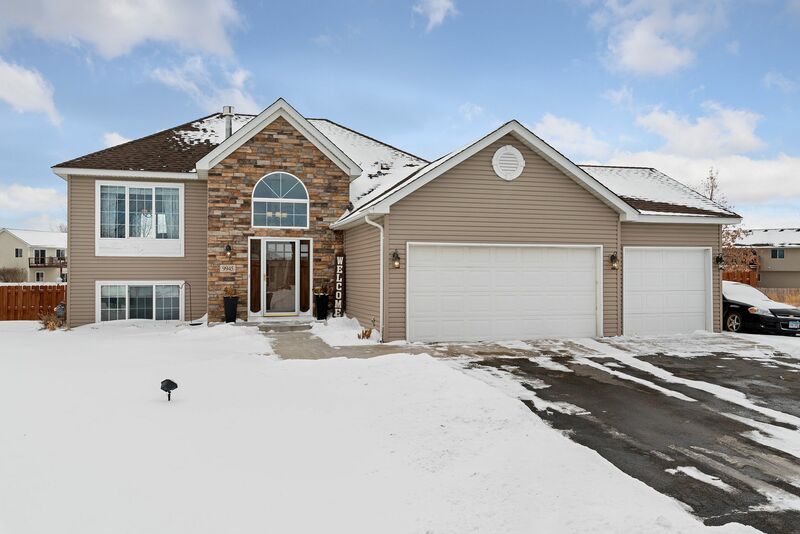 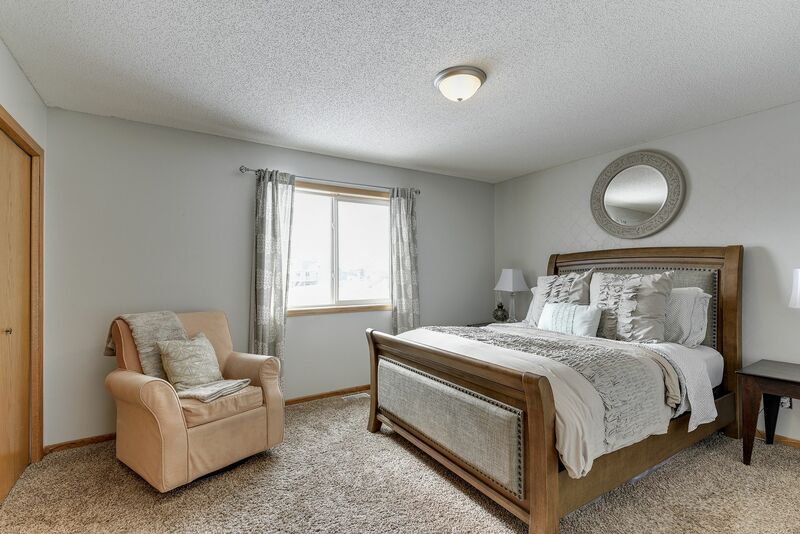 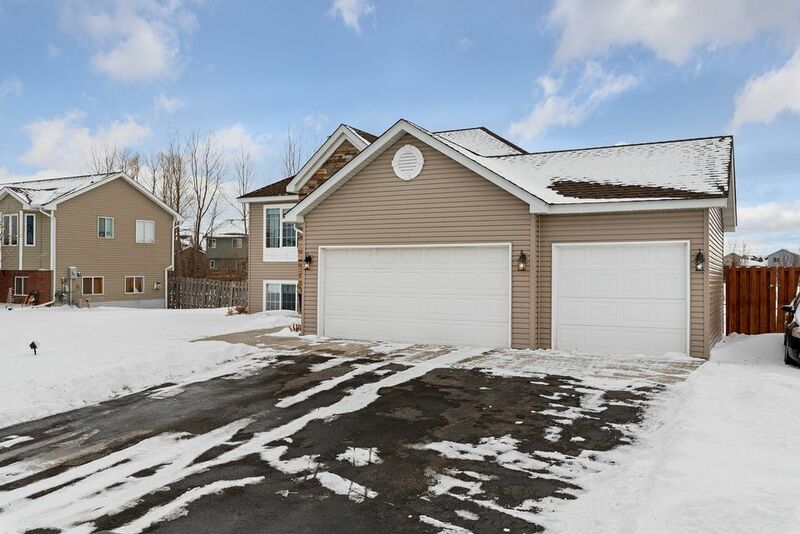 Many updates throughout stunning five-bedroom home! 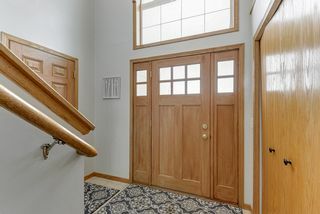 Beautiful stone work on entry leads to welcoming foyer. 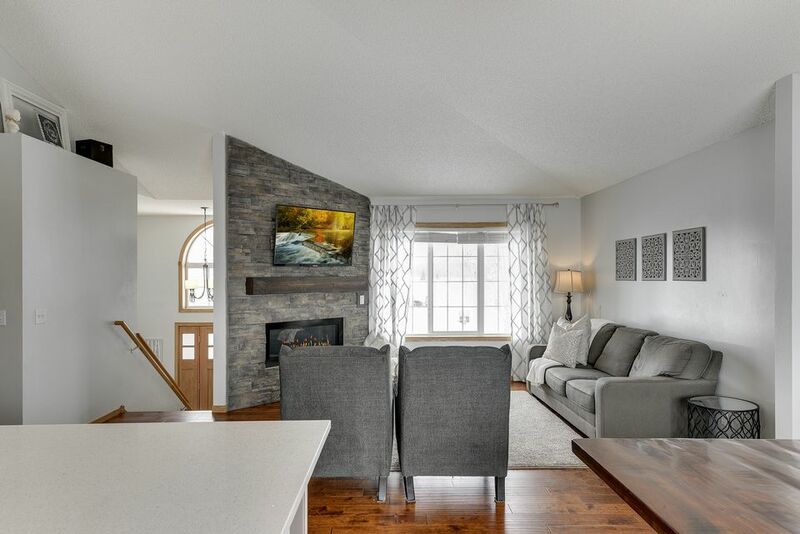 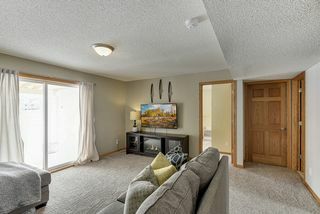 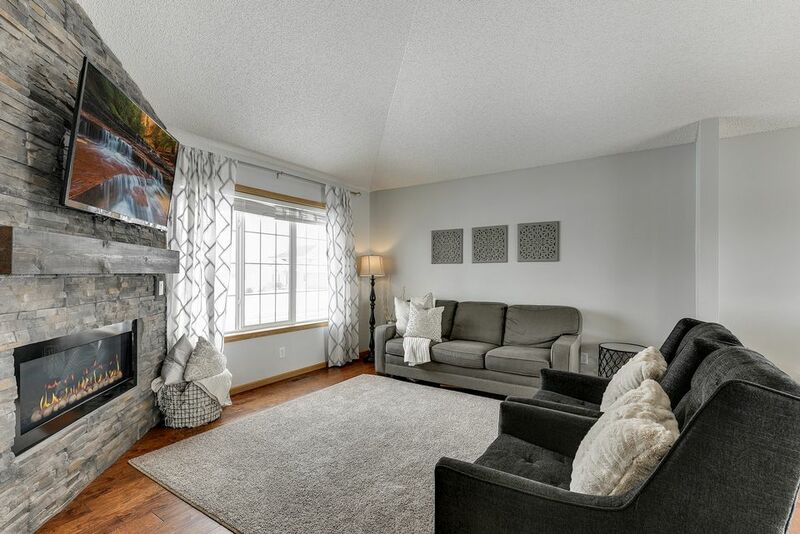 Vaulted ceiling living room with gas fireplace and sunny view. 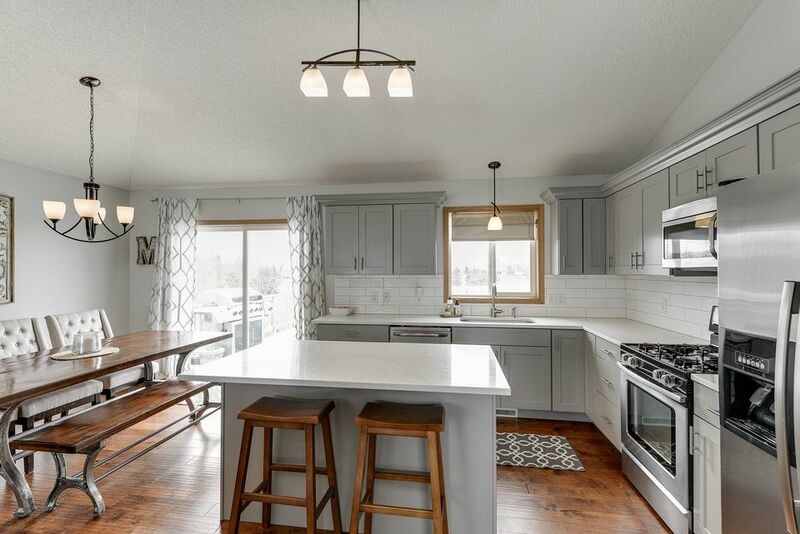 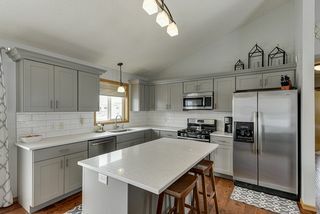 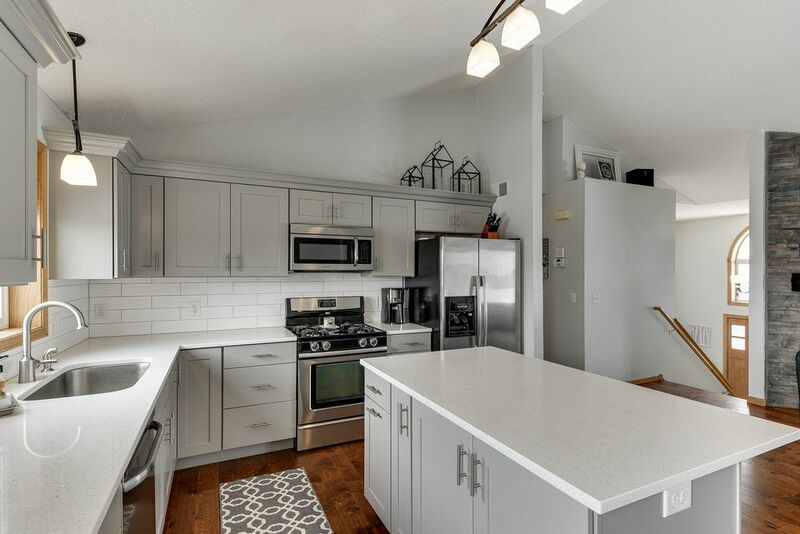 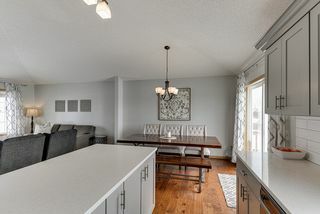 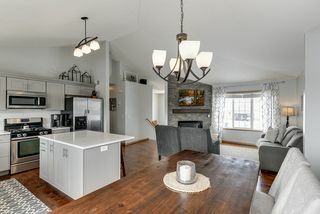 Updated kitchen with quartz, stainless steel, tile back splash, breakfast area and formal dining. 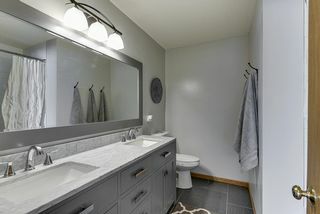 All bathrooms modernized with tile surround and flooring. 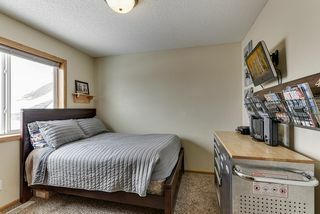 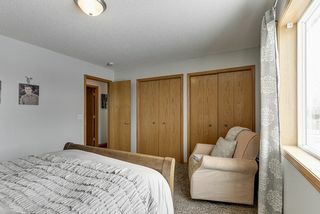 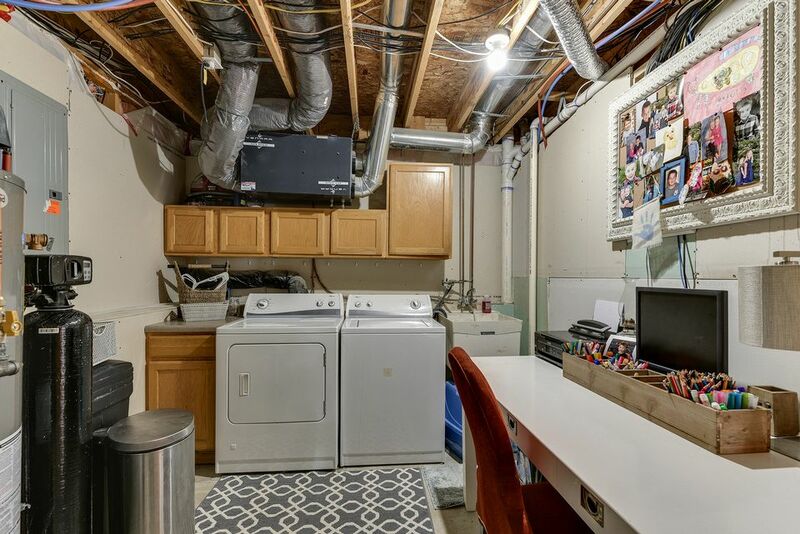 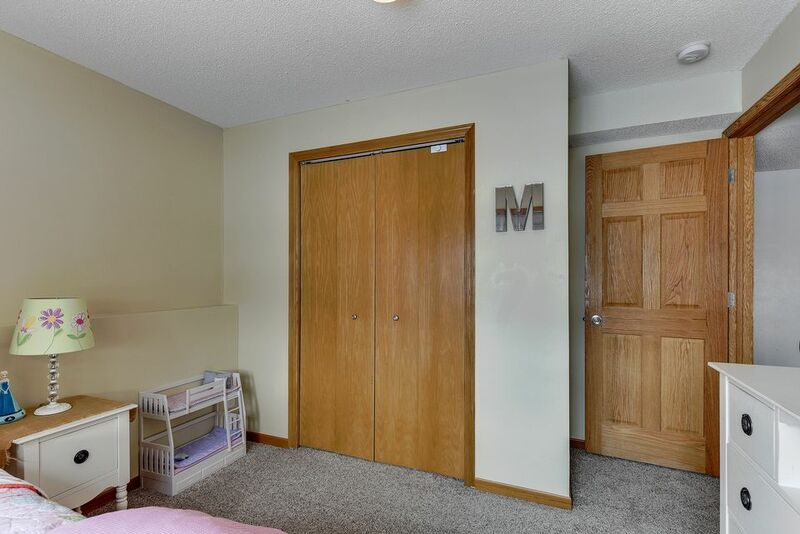 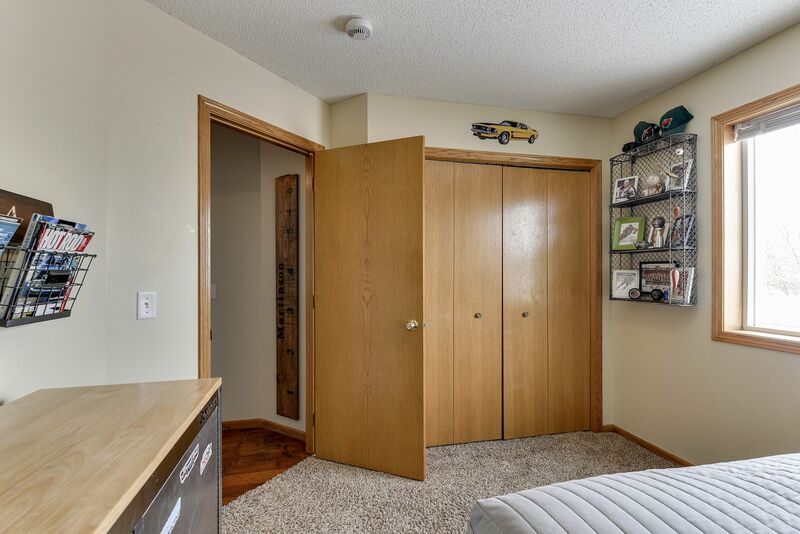 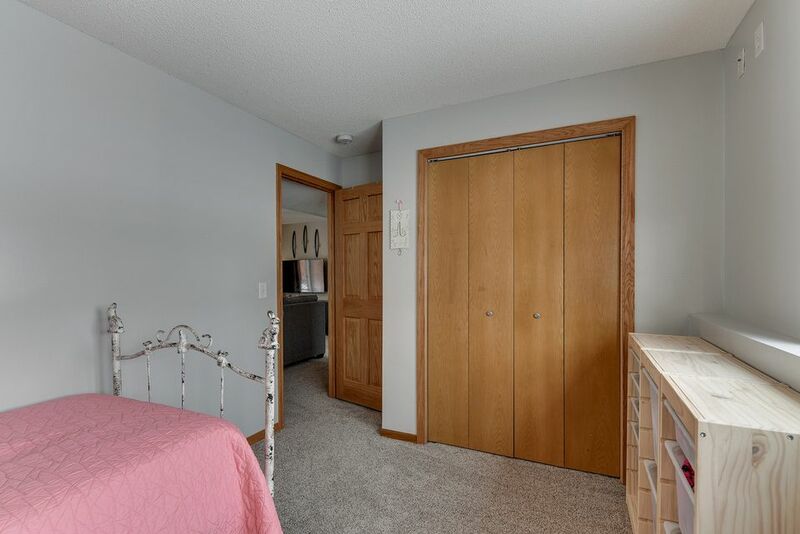 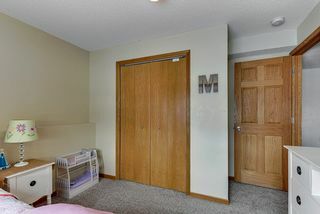 Double closet in owner's suite. 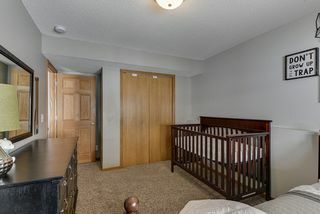 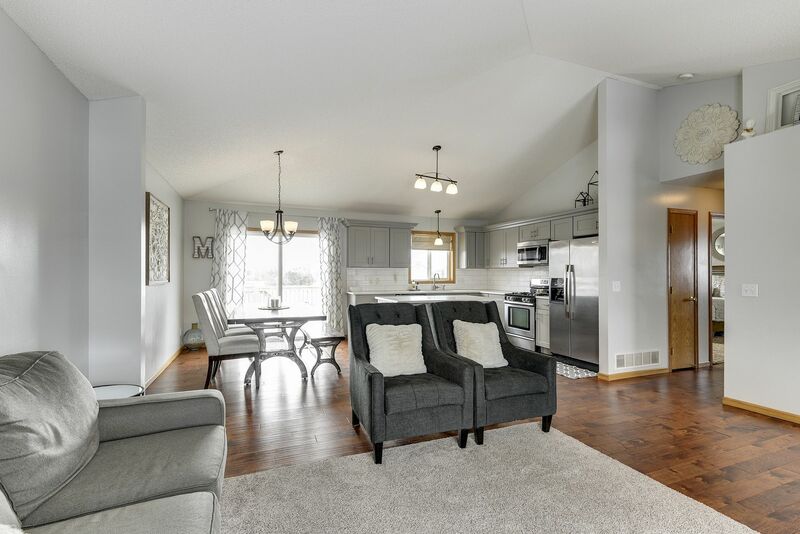 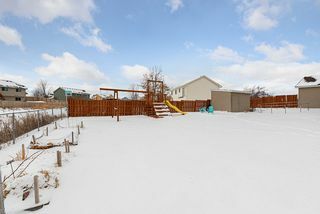 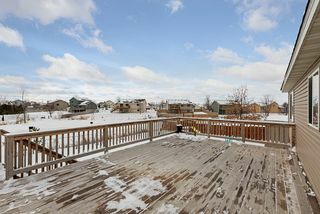 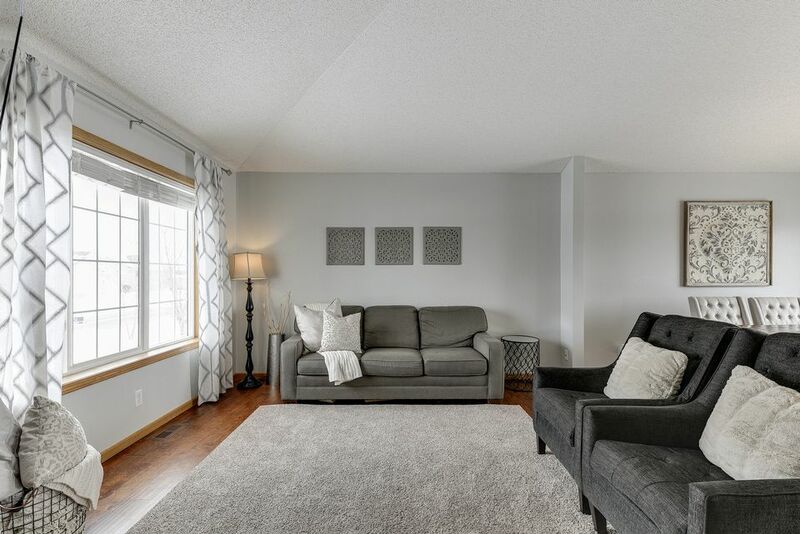 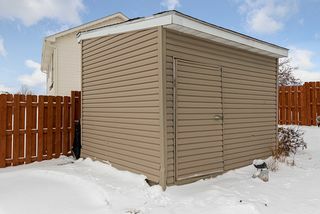 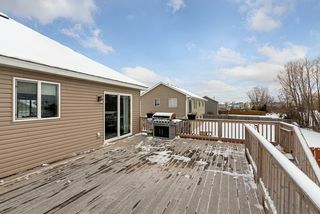 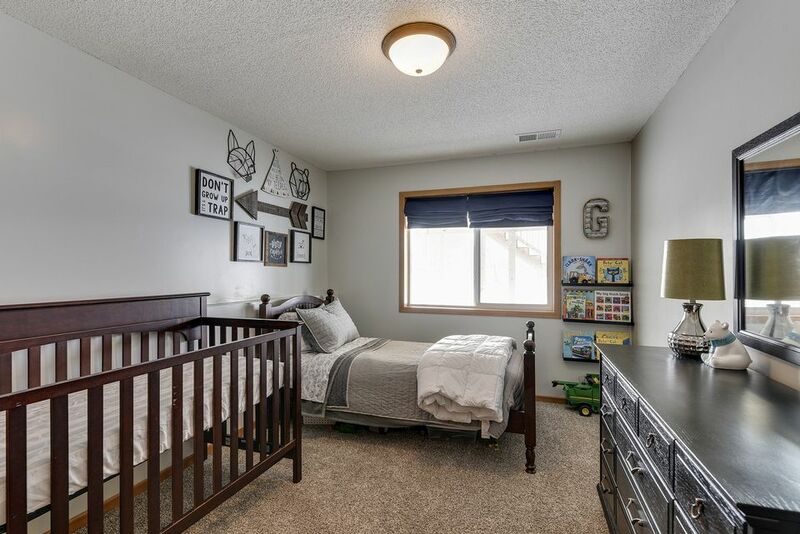 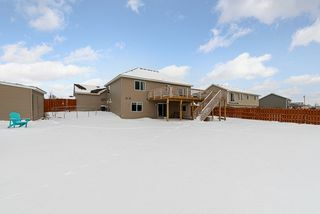 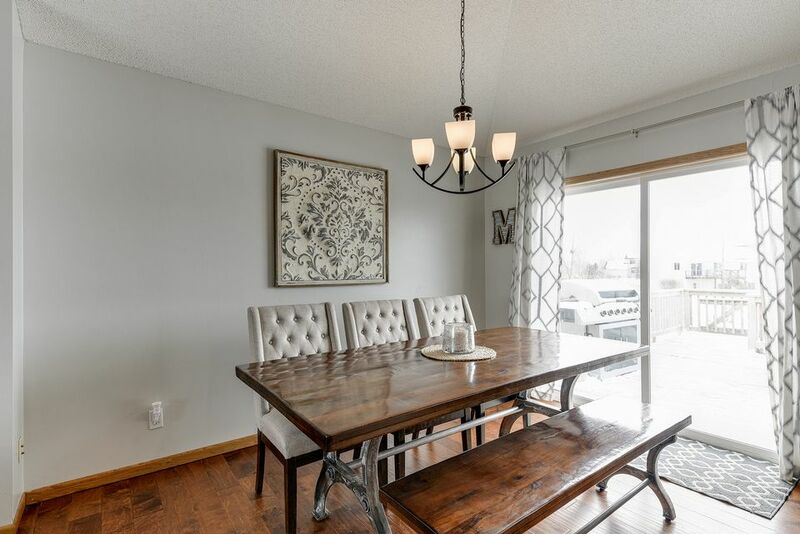 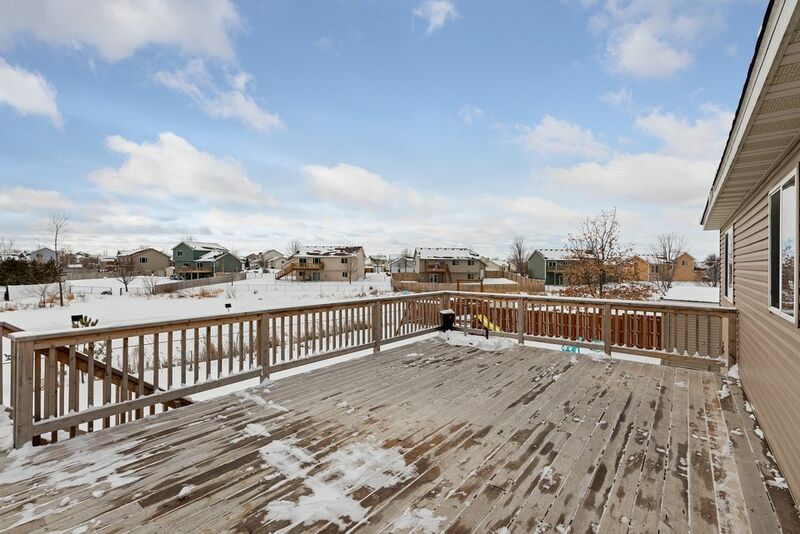 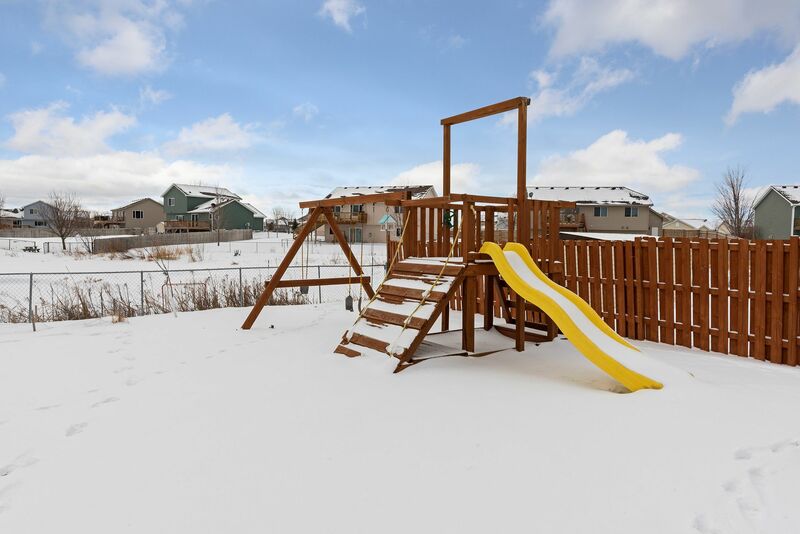 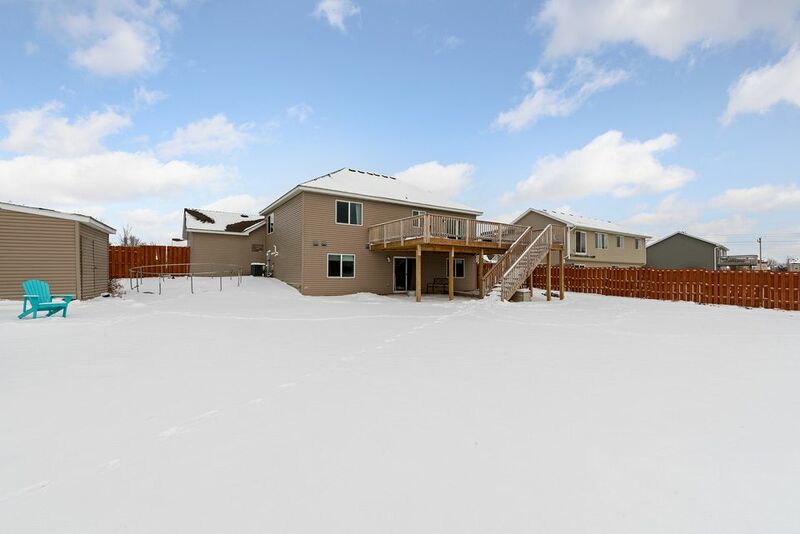 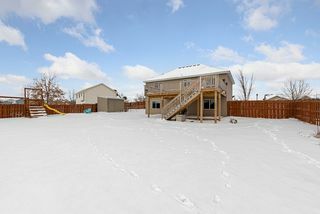 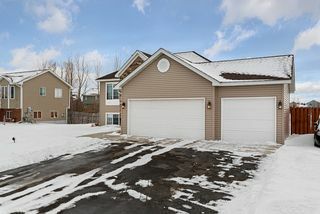 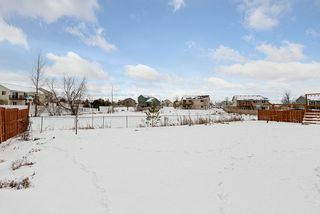 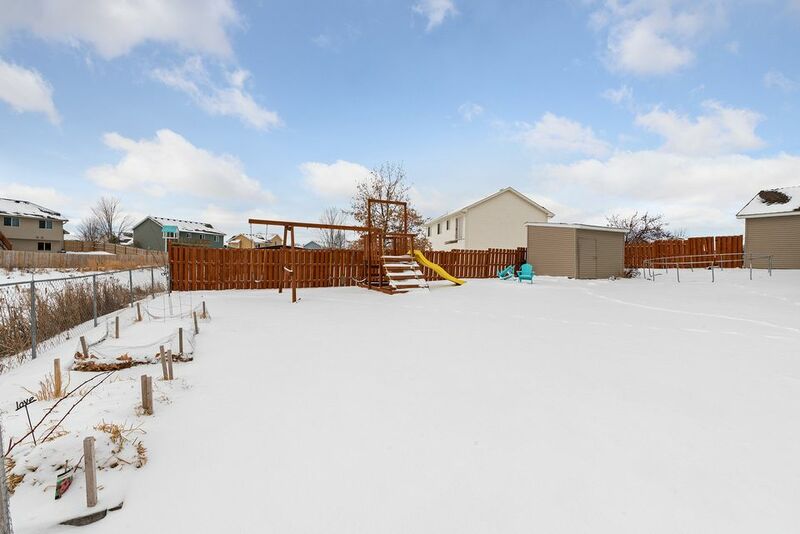 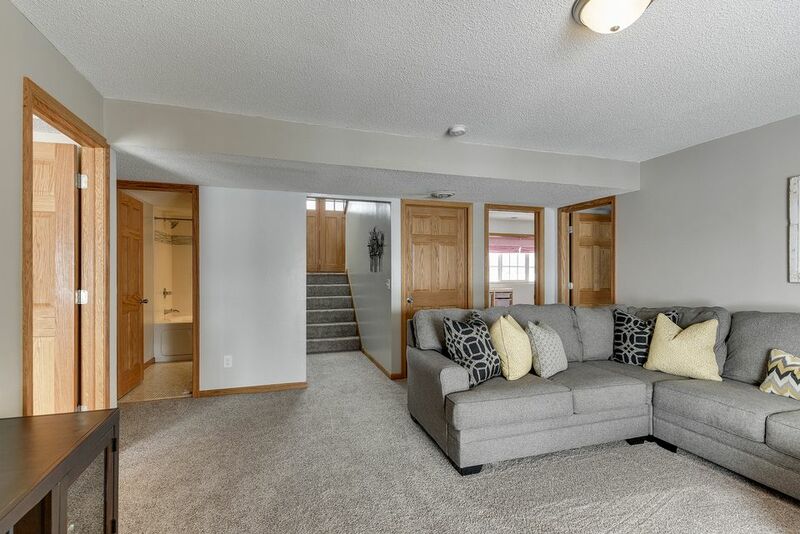 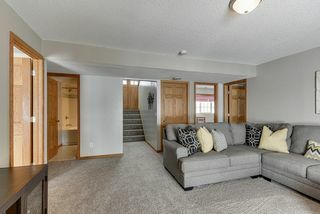 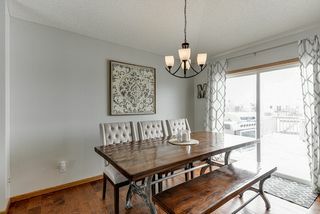 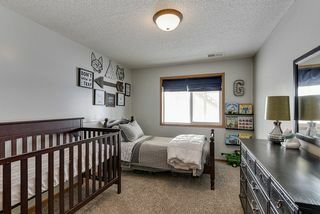 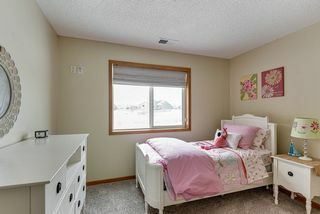 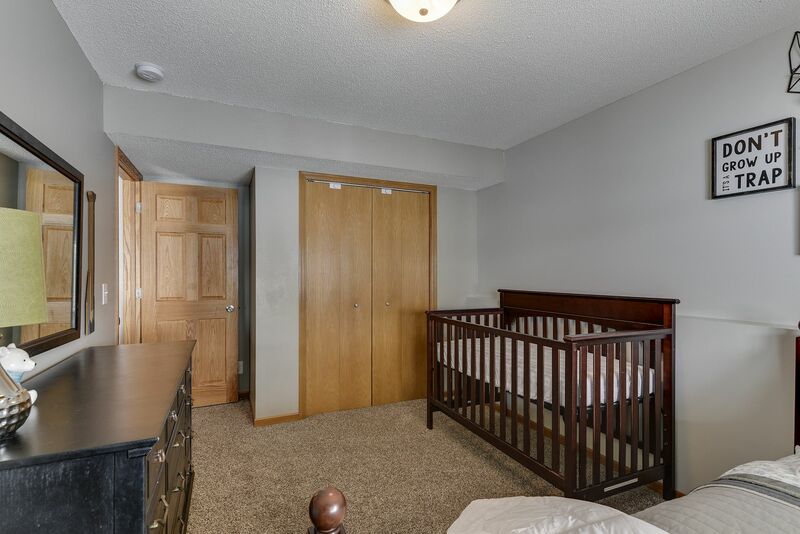 Lower level walkout to fully fenced-in backyard, kids play set and brand new oversized cedar deck. 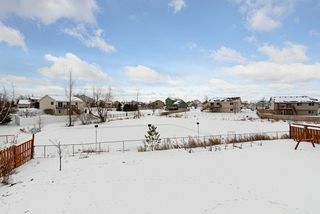 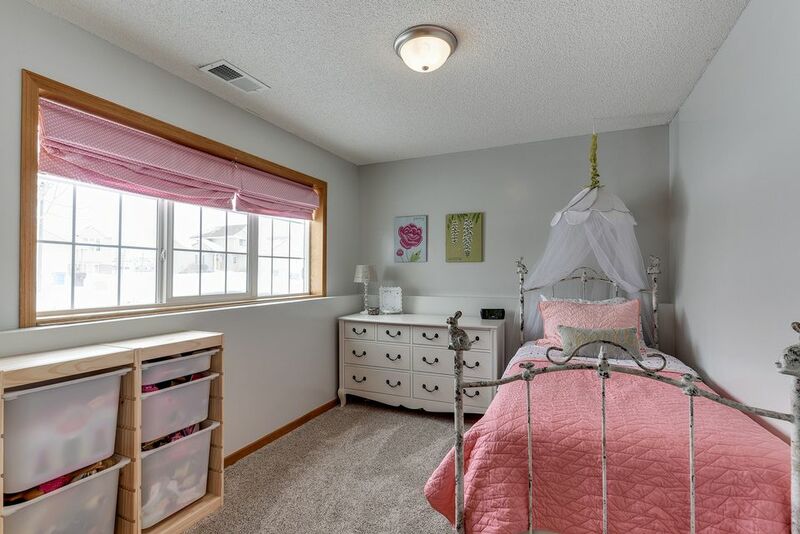 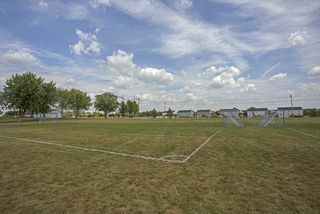 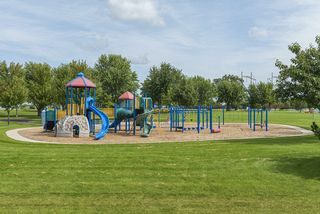 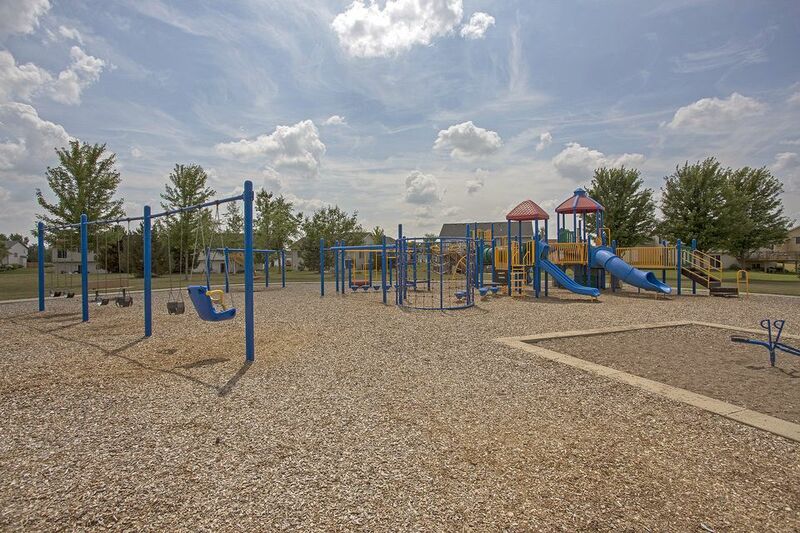 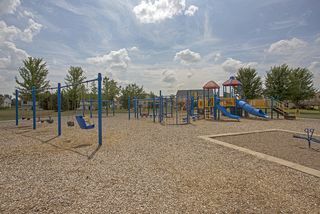 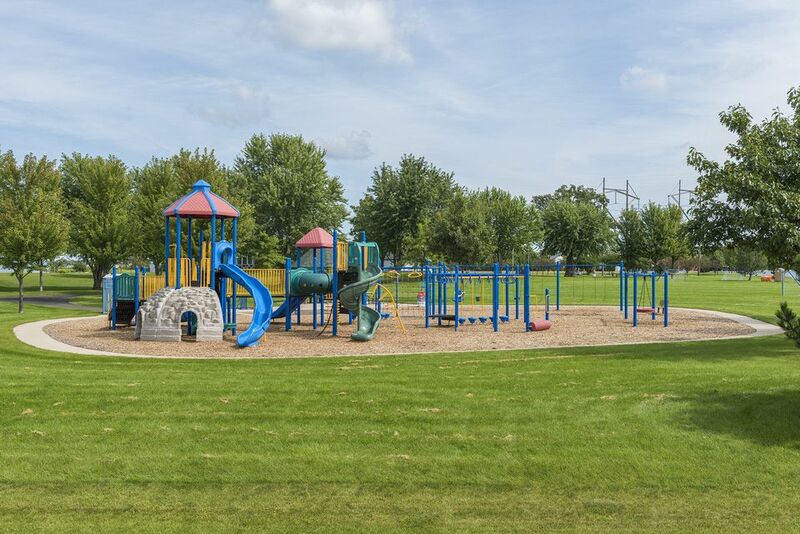 Located in amazing school district, near parks, soccer fields and trails.